Sony Ericsson has been a silent force in the battle for Android dominance. While Samsung have made a slew of super smart and super powerful phones, Sony Ericsson has consistently made unique and powerful devices with great display and a great UI experience. Sony Ericsson Xperia range of phones are known for their mind-blowing specifications and mesmerizing display. However, Sony Xperia has rarely excited the imagination of buyers who seem to prefer the raw specs over aesthetic appeal. Sony plans to change all that with a slew of new smartphones under the Xperia brand, broadly named the Xperia NXT range. The phones promise some truly remarkable firsts among smartphones. Such as the Reality Display, which promises to make images brighter and truly vivid, the Xperia S, U and P will feature illumination strip covers that are interchangeable. The illumination strip itself is a nifty new feature that promises to grab eyeballs wherever you go. Add to the fray, the new Floating touch technology for the Sony Xperia Sola, which promises to change the way users interact with the phones and you have some truly awesome features for the Sony Xperia S.
Read this post to be mesmerized by Sony’s technological ingenuity and Aesthetic Appeal. You may just run out and buy yourself one of these beauties. Sony Xperia U is a new addition in the burgeoning Sony Xperia Next series of smartphones. The phone features a 3.5” Reality Display powered by Sony’s magnificent Bravia engine. Reality Display ensures for brighter screens, which makes using the phone easy even during well illuminated conditions. The first thing you will notice on the Sony Xperia U is its bottom interchangeable cover and a snazzy, transparent background illumination strip. The bottom cover can be interchanged with 3 colors, Pink, Yellow and the standard White to suit your tastes, more colors maybe available in the market later on. The background illumination strip is a truly remarkable add- on to the mesmerizing Reality Display of the phone. The strip changes colour to match the primary colour of the image or visual on the phone screen giving a truly remarkable experience. This phone can definitely turn heads with its looks but its inside is just as power packed. The phone comes with Android 2.3 Gingerbread and will soon be available with Android 4 Ice Cream Sandwich. The phone is powered by a 1 GHz Dual core processor with 512 MB RAM. The phone runs on quad-band 2G and quad-band 3G networks. The phone has a 5MP camera but it can shoot 1080p videos which is a major bonus. The camera comes with auto-focus and LED flash and also features additional features such as touch focus, face and smile detection and Geo-tagging. You can even take 3D sweep panorama images and make use of image stabilization to give you better pictures for those long drives. Sony Xperia U is expected to hit markets in April 2012. 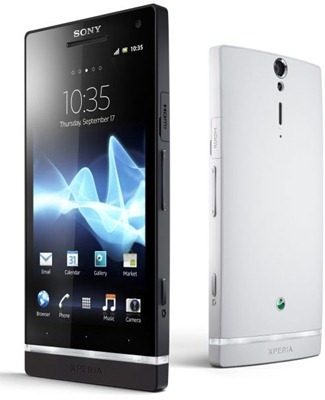 Sony Xperia S is the flagship product from the new Sony Xperia NXT series. Armed with a new remarkable Reality Display technology, that makes for brighter and vivid display and the legendary Bravia engine, that’s got consumers going gaga. The phone is very similar to Samsung’s extremely popular Samsung Galaxy S2, with a 4.3” screen and with 1.5 GHz processor with 1GB RAM. The differences however are still pretty significant. The screen has 720p resolution, which just renders beautiful images. The phone features 12MP camera versus 8MP of Samsung’s leader. The processor is also faster by 0.2GHz. The camera has auto-focus and LED flash along with other features such as Geo-tagging, face and smile detection. Sony Xperia S has 2 additional features for helping the budding photographer with 3D panorama sweep and image stabilization. There is also a 1.3MP secondary camera to provide for a great experience in video calling. The phone has already been launched in several parts of the world and is creating quite a buzz in the market. Sony Xperia Sola is the most recently announced member of the Xperia NXT series. This phone has a lot of remarkable features and a truly vivid display thanks to the Reality Display powered with the mobile Bravia engine on a 3.7” capacitive touch screen. The phone runs on Android 2.3 Gingerbread with proposed upgrade to Android 4 Ice Cream Sandwich. The most interesting feature of the Xperia Sola is the “floating touch” feature. This lets you highlight web page hyperlinks by moving your finger over the screen just like a typical mouse roll over does in a desktop. This is currently not possible with normal touchscreen. Sony has promised more applications using the Floating touch technology as well as has announced opening up the technology for developers to develop applications. Xperia Sola is definitely a beautiful phone on the outside; it is no less a beauty on the inside, thanks to the 1 GHz Dual Core processor with a 512 MB RAMS. The phone will run on quad band 2G and quad band 3G networks. The phone comes with 4 unique NFC tags called smart tags, which automatically change the phones settings when in contact with it. You can hang one in the bedroom to lower the volume, mute the phone and set the alarm; you can hang one in the car to turn on GPS and Bluetooth. You can hang one at entrance of your home to activate Wi-Fi and increase the ring tone. The smart tags are definitely a nifty new application for smartphones and definitely have potential for more creative uses. 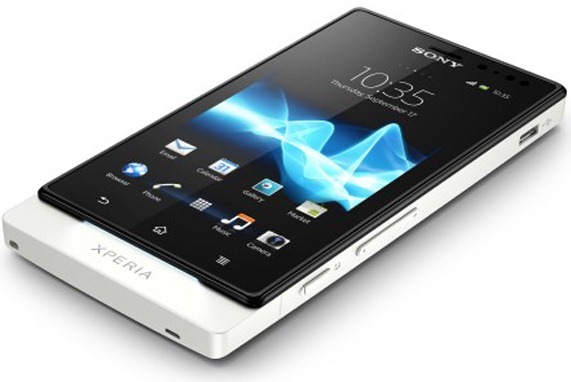 Sony Xperia Sola will be available in the second quarter of 2012. 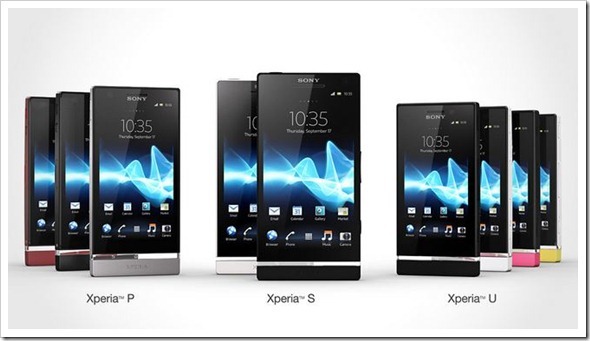 Sony Xperia P is placed in between the Xperia S and the Xperia U in terms of specs. It has a 4” LED back-light, LCD capacitive touchscreen. The phone runs on Android 2.3.7 Gingerbread OS with proposed upgrade to Ice Cream Sandwich. The phone is powered by a 1 GHz Dual core processor with 1GB RAM. The phone runs on quad-band 2G and dual-band 3G networks. You can connect to the internet using EDGE/GPRS or Wifi. The phone comes with Bluetooth 2.1v and optional NFC along with Micro-USB v 2.0. The phone looks just as brilliant as the Xperia U with its transparent colour cover in the bottom as well as the transparent back light illumination strip at the bottom that changes colour based on the image on the screen. The Bravia Engine and Reality Display makes the images look truly remarkable. The phone has a 8MP camera with auto-focus and LED flash. The camera has all the same features as the remaining Xperia range including Geo-tagging, face and smile detection. Even 3 D panoramic zoom and image stabilization are present to thrill the photographer. Sony Xperia P is expected to hit markets in April 2012. Sony Xperia NXT range has definitely shaken up things in the smartphone market. A slew of launches of interesting smartphones offering truly unique and remarkable features have made the average smartphone enthusiast sit up and take notice. Each model of the Sony Xperia range has something unique and truly beautiful to offer. While all of them have flawless beautiful display thanks to the new Reality Display powered by the Bravia engine, Sony Xperia S promises for the ultimate smartphone experience in dual core. Sony Xperia P promises a remarkably beautiful smartphone to show off to your friends and relatives with interchangeable bottom cover and the transparent illuminating strip. You could show off to your friends the all new floating touch technology you can definitely find a model that suits you in the large array of models in Sony Mobile price list. This summer, Sony does give you several mouthwatering offers. Which one would you purchase? Datawind launches upgraded tablet Ubislate7+ & Ubislate7c! Oppo Find X Launched in India – Specs, Price, Comparison & More! BSNL’s Smart Landline Phones Will Enable Video Calls, Chat With Friends & More! The 8 MP camera and 1 GB RAM will make surely a favorite to buy!